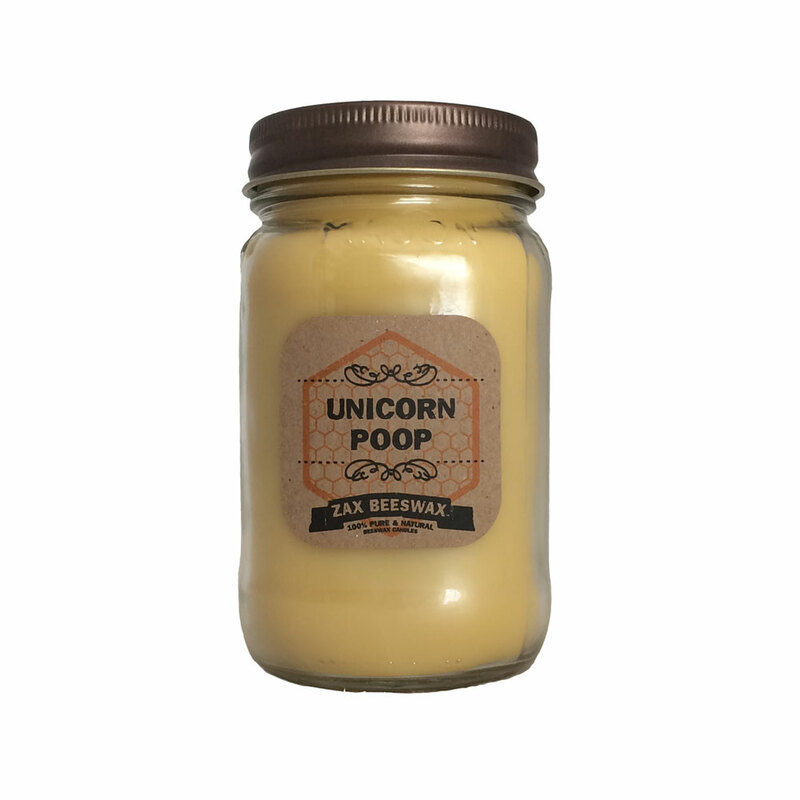 Fresh from the fields of utopia, we bring you our Unicorn Poop Beeswax Mason Jar Candle. 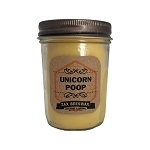 After months of tracking down Unicorns and collecting their pooty poo, we have enough to share this wonderful scent with you. UNICORN POOP - Top notes of fresh bananas and juicy grapefruit, middle notes of kiwi, juicy bubblegum, and strawberries; and a hint of vanilla as a base note. We don't really know what Unicorn poop actually smells like - but we assume its as awesome as this. Ingredients: Beeswax, Organic sustainable coconut oil, Zinc-Free Natural Cotton wicking, Phthalate- free fragrance oil.